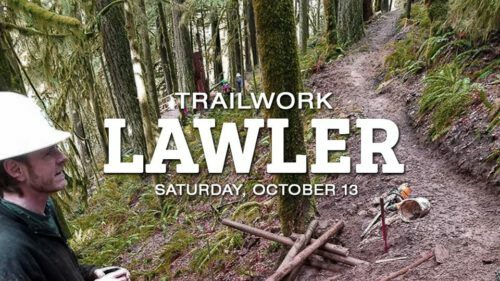 The Disciples of Dirt are kicking off the 2018/2019 trail work season with a day of digging on Lawler. Please join us in giving some love back to this great trail! We’ll meet at the Hardesty Mountain Trailhead at 9:30, from where we will carpool to several different worksites. Snacks and drinks will finish off this volunteer work party. Bring water and a bite to eat to get you through the day. Wear long pants, sturdy boots, and gloves. Hardhats are required, and will be supplied if you don’t have your own.